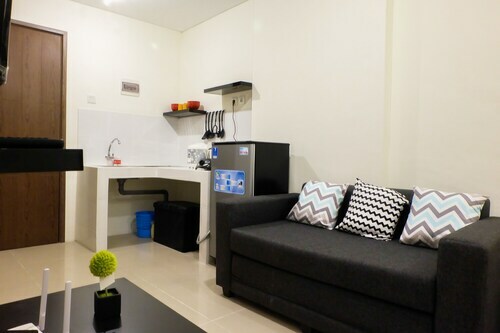 This family-friendly Jakarta hotel is located in the business district, within a 15-minute walk of Mangga Dua and Mangga Dua Square. Old Town and Dunia Fantasi are also within 2 mi (3 km). Jakarta Kampung Bandan Station is 11 minutes by foot and Jakarta Rajawali Station is 21 minutes. 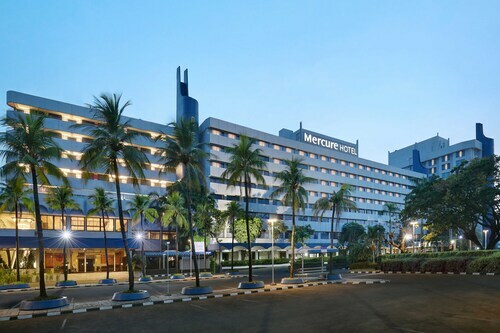 Offering direct access to the beach, this Old Jakarta hotel is within a 15-minute walk of Ancol Dreamland and SeaWorld Ancol. Mangga Dua and Jakarta History Museum are also within 3 mi (5 km). Jakarta Kampung Bandan Station is 27 minutes by foot. Located in Old Jakarta, this spa aparthotel is within 1 mi (2 km) of Dunia Fantasi, Mangga Dua, and Ancol Dreamland. SeaWorld Ancol and Jakarta History Museum are also within 2 mi (3 km). Jakarta Kampung Bandan Station is 11 minutes by foot and Jakarta Ancol Station is 26 minutes. 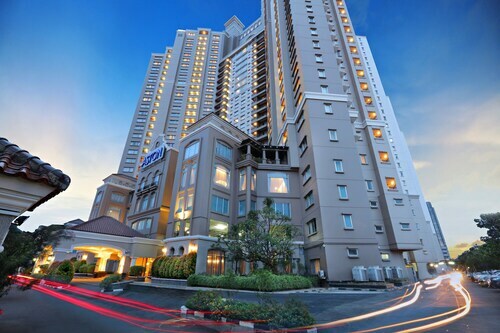 This family-friendly Jakarta hotel is located in Old Jakarta, within 1 mi (2 km) of Dunia Fantasi, Ancol Dreamland, and SeaWorld Ancol. Mangga Dua and Jakarta History Museum are also within 3 mi (5 km). Jakarta Kampung Bandan Station is 24 minutes by foot. 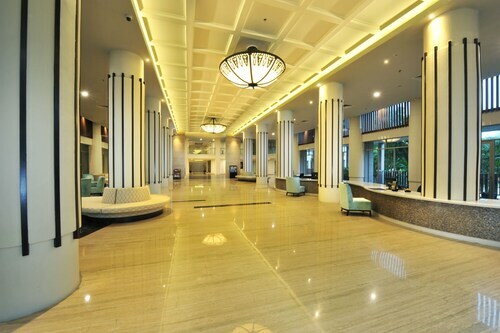 Located in Old Jakarta, this hotel is within a 15-minute walk of Ancol Dreamland and SeaWorld Ancol. Mangga Dua and Jakarta History Museum are also within 3 mi (5 km). 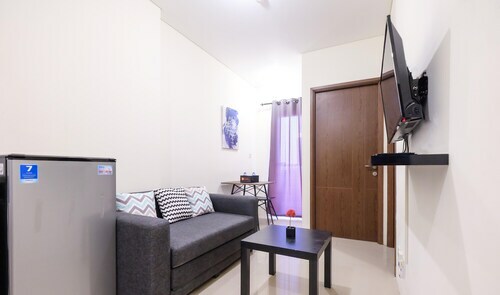 Located in Old Jakarta, this apartment building is within 2 mi (3 km) of Mangga Dua, Ancol Dreamland, and SeaWorld Ancol. Jakarta International Expo and Jakarta History Museum are also within 3 mi (5 km). Jakarta Ancol Station is 13 minutes by foot and Jakarta Kampung Bandan Station is 18 minutes. 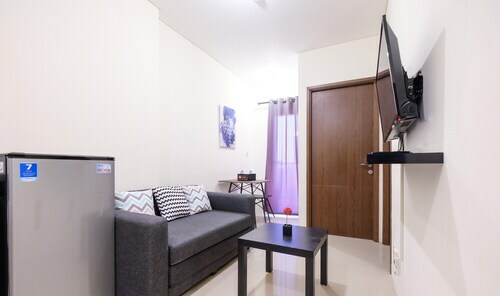 Located in Old Jakarta, this apartment building is within 2 mi (3 km) of SeaWorld Ancol, Mangga Dua, and Ancol Dreamland. Jakarta International Expo and Pasar Baru are also within 3 mi (5 km). Jakarta Ancol Station is 13 minutes by foot and Jakarta Kampung Bandan Station is 20 minutes.